Thank you for your interest in our translation products! We are committed to providing the very best products and service to customers. If you have any question about our products or service please feel free to contact us. We accept purchase orders from hospitals, educational institutions and government agencies. We also accept many larger company purchase orders, please call us to find out more about the requirements. Note: Purchase orders can be used for downloadable products or for shipped software. All purchase orders are Net 30. If you have any questions contact us at 800-771-9383 or 813-949-9383. Your credit card is never billed until we ship your order. Phone Orders - Call (813) 949-9383 or 1-800-771-9383 ( 9am - 8pm EST Monday - Friday ) and we will be more than happy to take your order over the phone or answer any questions before you place your order. Fax Orders - ( 813) 948-1588 24 hour FAX line. Print and Fax us the totaled order form off your computer screen. The completed order form, if filled out completely it will provide all that we should need to process your order. The FAX arrives in a very secure office with restricted access. Your card information is safe. Our 24 hour FAX line is:1-813-948-1588. Checks and Mail Orders - We accept, money orders and Checks. You canPrint and mail us the shopping cart page off your computer screen. The completed order form, if filled out completely it will provide all that we should need to process your order. We ship most packages through, Airborne, UPS and Federal Express. These are preferred shippers since each offers tracking of your packages. Please remember that we cannot ship to a P.O. Box, we need a physical address. Shipping is added to your order after you fill in your address, shipments are based on shipping to the continental USA. Puerto Rico, Alaska and Hawaii can be shipped through USPS (Priority Mail) on some items since their rates are more affordable. Higher ticket items will require shipping through a carrier that does offer more reliable tracking information. Same Day Shipping! Orders placed by 3pm EST are shipped the same day in most cases. If you need to confirm this feel free to give us a quick call and we will make sure your product is being shipped and give you a tracking number. Please remember that we cannot ship to a P.O. Box, we need a physical address. We ship world wide but some restrictions apply. We will be happy to give you a quote for shipping, just send us your shipping address and the product you wish to order and we will send you back a quote quickly. Please contact us directly by email for more information - sales@imagiforce.com. We mark all international packages with the contents and list the approximate replacement cost of the items on the customs documentation. All customs and import duties are applied when your shipment reaches the destination country, and, as we have no control over these charges and no way to estimate what they will be, these charges are your responsibility. Please contact your local customs office for details on how charges are applied in your locale. Most of our products come with a 15-Day Money Back Guarantee, if you are not completely satisfied with your purchase, email sales@imagiforce.com or call our Customer Service Department at 813-949-9383 between 9 and 5 p.m. EST and request help with your return. 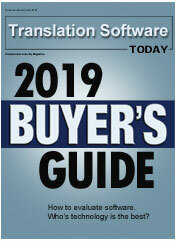 We have demos (online or CD) and we are happy to do test translations via email before you purchase. International orders may be exchanged only when defective. All items marked "clearance" are not refundable, all sales on these items are final. All items we sell come with our 30-day Guarantee Against Defects. If your product is defective in any way just send us an Email for a Return Authorization Number. Defective software will be replaced upon receipt of the defective product. If you would like to make a return you must first call us at 1-813-949-9383 or email us at sales@imagiforce.com to obtain an RMA Number. We will not accept any returns without an RMA number, shipments will be refused and returned to you. Sign the Letter of Destruction that will be sent with your RMA number request and return with your software. Return the merchandise to us within 15 days of your original receipt of the order. Physical products that were shipped to you must be returned in new, resalable condition. Returned products must be received within 7 days from the issuance of the RMA Number. Download products must be uninstalled and the Letter of Destruction returned by fax or email within 7 days of the issuance of RMA number. Note: Packing the product properly for undamaged return is your responsibility. Please remember to back up all of your data before installing any new software or peripherals; we cannot be responsible for any loss of data. Imagiforce offers an Extended Download Service (EDS) as an added convenience for our customers. If you purchase the Extended Download Service you can request a download link for up to two years from the date of purchase that allows you to re-download the software. This service can be helpful in the event that your software must be reinstalled due to problems with your computer. Q: What if I don't purchase this Extended Download Service? A: If you decide not to purchase our Extended Download Service (EDS), you will have 60 days to re-download your order. If after the 60 days you lose your download for whatever reasons, you will need to repurchase the product at the then current sales price. Q: Can I purchase this service at a later time? A: No. You must purchase the Extended Download Service at the time of purchasing the downloadable product. You cannot purchase this service by itself. Q: If I purchased the Extended Download Service and lost my software, what do I need to do to be able to download it again? Send an email to our Sales Department sales@imagiforce.com . Please provide one of the following: Order ID or Invoice number, The company name it was purchased under, or the customer's full name. 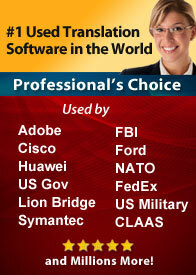 A customer service representative will look up your order and send you a link by email to redownload the software. Q: Is one Extended Download Service good for multiple copies of software? A: One Extended Download Service is good for only one copy. You cannot purchase one copy of a download and download it on multiple computers. If you changed computers or purchased a new computer and deleted or uninstalled the program from your old computer, you would be eligible for a new download of a previously purchased program. Q: Who is entitled to use this Extended Download Service? A: Only the End User who purchased the program is entitled to the use of this service. Should you provide the password and login details to any other user who attempts to make multiple copies through use of the Extended Download Service you shall be considered in violation of the End User License Agreement and subject to liability for its breach and for violation of the terms and conditions of the Extended Download Service. Q: Is the Extended Download Service refundable? A: This product is only refundable within up to 15 days of purchase, and will only be refunded if the original product was refunded. Security is a top priority. We use Comodo SSL guaranting the highest possible encryption levels for online transactions. Each certificate is signed with NIST recommended 2048 bit signatures and provides up to 256 bit encryption of customer data. We make every attempt to avoid errors in pricing and product information. In the event a mistake does occur, we reserve the right to correct it, and we apologize for any inconvenience it may cause.